Players will rotate between the Jones and Hills courses over the first 4 days. There will be a 72 hole cut made after Saturday's round to the top 70 and ties. Sunday's final round will be played on the Hills course. Players who finish in the top 20 will earn category 12 Priority List membership. 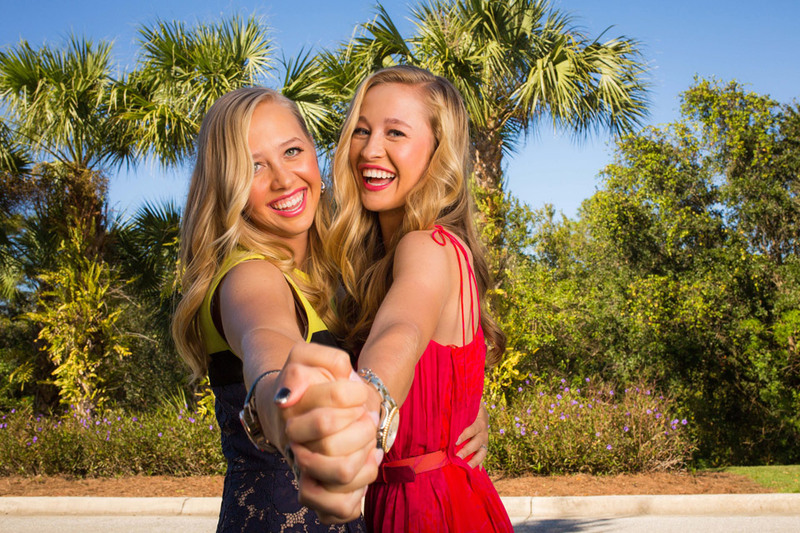 This means that they will get to play in all full field LPGA tournaments. Players finishing 21-45 will get category 17 membership, which amounts to conditional playing privileges. The players in category 17 usually do not get into many LPGA events and will probably spend most of the 2017 season playing in Symetra Tour events. Su Oh and Brittany Altomare were the only category 17 players who managed to retain their full time playing priviledges because of their play on the LPGA tour during the 2016 season. Mel Reid will be one of the favorites to capture one of the top 20 spots. There will be 157 players in this week's field. There are 78 players representing the USA, and 79 players representing 32 different countries outside the United States. There are nine 2016 Olympians in the field: Aditi Ashok (India), Laetitia Beck (Israel), Nicole Broch Larsen (Denmark), Tiffany Chan (Hong Kong), Julieta Granada (Paraguay), Alejandra Llaneza (Mexico), Stephanie Meadow (Ireland), Guilia Molinaro (Italy) and Marianne Skarpnord (Norway). The highest finisher was Skarpnord who finished T25. There are 8 players ranked in the top 200 in the world. The field includes 14 teenages, and 41 players under the age of 23. Although the most significant prize is leaving with a 2017 Tour card, there is a $50,000 purse and the medalist will earn $5,000. This coming week is the culmination of a three-stage Qualifying Tournament process that started in late August with Stage I in Rancho Mirage, California. A total of 92 players advanced out of Stage I to Stage II, which was held in October in Venice, Florida. A total of 84 players passed through Stage II to get to where we are now. A total of 36 players have made it through to Final Stage from Stage I. 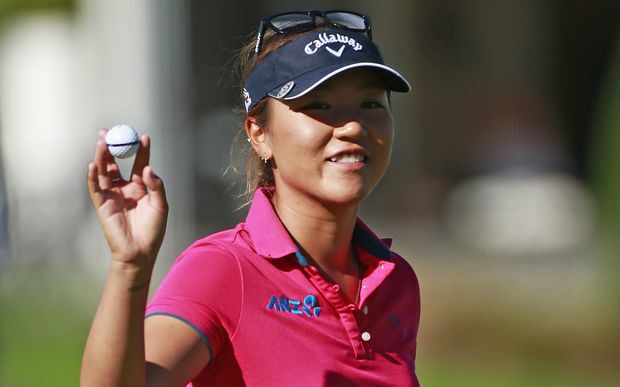 There are three players in the field that have won on the LPGA Tour. Lorie Kane (Charlottetown, Canada) is a four-time winner with her last coming at the 2001 Takefuji LPGA Classic. Julieta Granada (Asuncion, Paraguay) won the 2006 LPGA Playoffs at The ADT and Silvia Cavalleri won the 2007 Corona Championship. The highest ranked player in the field according to the Rolex Women’s World Golf Rankings is Beth Allen (San Diego, Calif.), who ranks 63rd. 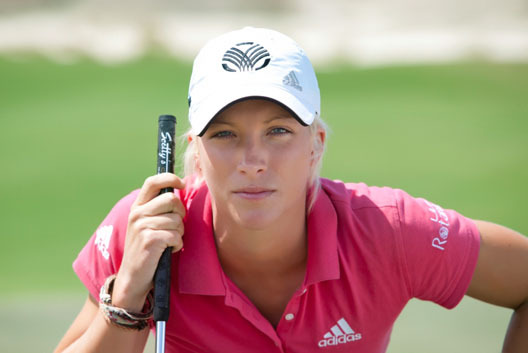 Allen currently plays on the Ladies European Tour and leads the Order of Merit. There are eight players ranked in the top 200 in the world (Allen - 63, Nicole Broch Larsen (Hillerod, Denmark) - 90, Emily Pedersen (Smoerum, Denmark) - 109, JeongEun Lee (Seoul, South Korea) - 123, Mel Reid (Loughborough, England) - 135, Nasa Hataoka (Ibaraki, Japan) - 145, Holly Clyburn (Cleethorpes, England) and Aditi Ashok (Bangalore, India) - 198. NO. 1 AMATEUR IN WORLD WITHDRAWS; STAYING AT DUKE: The big news just a week ago came when Leona Maguire, the No. 1 amateur in the world according to the World Amateur Golf Rankings (WAGR), withdrew. Maguire, a junior at Duke, finished T6 at Stage II and appeared as if she would test the waters at Stage III. The 2014-15 National Player of the Year and a two-time First-Team All-American decided last week to stay in school. The No. 2 amateur in the world, Bronte Law, will compete this week. Law, who captured the 2016 ANNIKA Award, finished second at Stage II. The second highest ranked amateur in the field is Katelyn Dambaugh, who is ninth. Dambaugh, a senior at South Carolina, finished 2015-16 with a scoring average of 71.62, which was second lowest in the country. 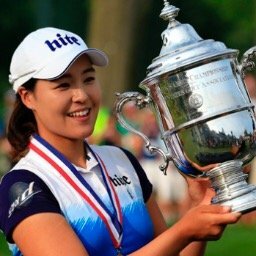 THERE WILL BE LOTS OF ATTENTION ON 17-YEAR-OLD FROM JAPAN: Nasa Hataoka (Ibaraki, Japan) may be the second youngest player, but she might have the most attention on her. On October 2, she became the first amateur to win a JLPGA major by capturing the Japan Women’s Open Golf Championship. 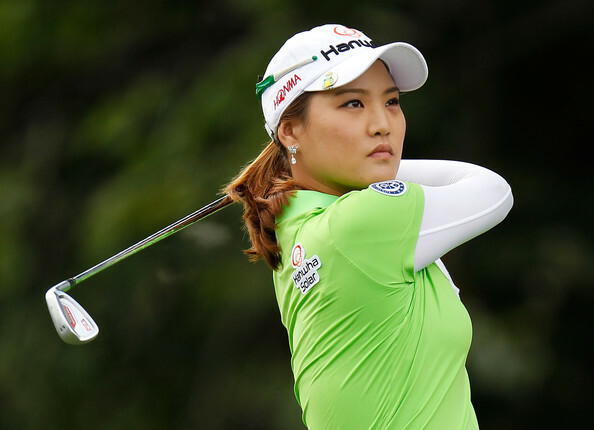 In the process, she surpassed Ai Miyazato’s record as the youngest champion of a major. Miyazato won the same JLPGA event in 2005 at the age of 20. UL INTERNATIONAL CROWN PLAYERS REPRESENTED IN FIELD: There are four players - Rebecca Artis (Australia), Ssu Chia Cheng (Taiwan), Holly Clyburn (England) and Mel Reid (England) - in the field that competed in the inaugural UL International Crown in July. The UL International Crown pitted the four best players from the top eight nations against each other. The United States went on to win. Reid, a veteran of two Solheim Cups, captured headlines with stellar play against the Japanese team. She was playing by herself because teammate Charley Hull couldn’t compete due to illness and Reid took the high power Japanese team to the 18th hole in best-ball format. SYMETRA TOUR NEXT 15 IN FIELD: In addition to awarding ten LPGA Tour cards, the Symetra Tour also gives exemptions to Final Stage to the top 15 non-LPGA members that finish the year outside the top 10. The following Symetra Tour players noted below bypassed Stage II and will compete in Final Stage. The only player that had the opportunity to compete, but did not sign up is Jessica Wallace. No. 11 Clariss Guce (Artesia, Calif.), No. 12 Erica Popson (Davenport, Fla.), No. 13 Augusta James (Bath, Ontario, No. 16 Brittany Benvenuto (Langhorne, Pa.), No. 17 Erynne Lee (Silverdale, Wash.), No. 18 Natalie Sheary (West Hartford, Ct.), No. 20 Nicole Broch Larsen (Hillerod, Denmark), No. 21 Dottie Ardina (Laguna, Philippines), No. 22 Paola Moreno (Cali, Colombia), No. 24 Shannon Fish (Spring, Texas), No. 25 Emma de Groot (Coffs Harbour, Australia), No. 26 Emma Talley (Princeton, Kentucky), No. 29 Brittany Marchand (Orangeville, Ontario) and No. 30 Emily Tubert (Burbank, Calif.). Guce won twice on the Symetra Tour in 2016 while Popson, Lee, Broch Larsen and Moreno each won once. What player broke the all-time Q-school scoring record in 2013, when she shot an amazing -29 under par?